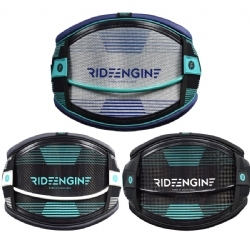 Ride Engine's Hex Core harness features a revolutionary design that will forever change expectations of how a kiteboarding harness should look, feel and perform. The core is an ergonomic hard shell designed around hundreds of precision molds and contoured to distribute load evenly across the lumbar and hips and lock the harness low on your back where it's supposed to be. 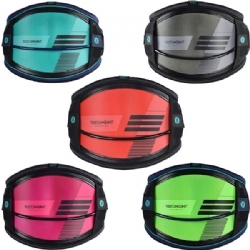 The result is a low-profile, form-fitting harness that will dramatically improve your entire kiteboarding experience. 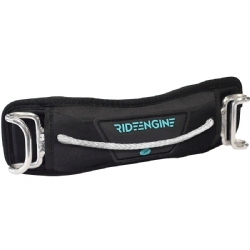 Ride Engine's Carbon Elite harness comes with Premium materials and premium comfort blend in the Elite Series. The Kevlar/carbon construction of the Elite Series results in a super stiff, strong and durable harness that can't really be compared to anything else on the market. If you're someone who likes the best of the best, the Elite is the way to go. 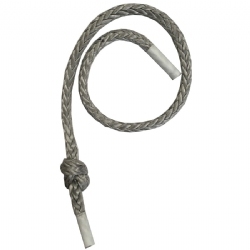 Replacement rope for 2016+ sliding rope spreader bars from Ride Engine. Fits all spreader bar sizes. Riders are often forced to rotate their harnesses from side to side to get pull from the proper angle when carving upwind, riding toeside or catching waves. That range of motion requires a looseness in the harness that also allows vertical and torsional movement, resulting in rider discomfort, constricted breathing, pull from the wrong angle and a variety of other issues.